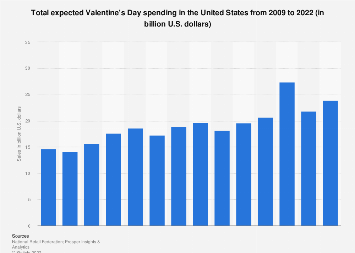 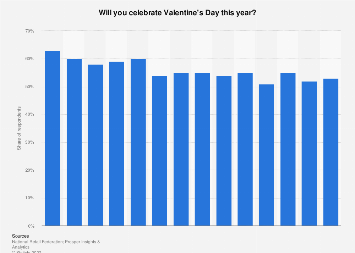 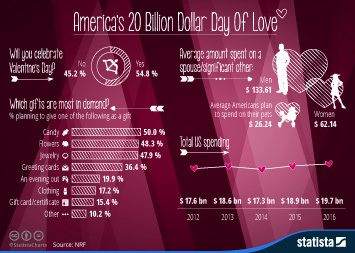 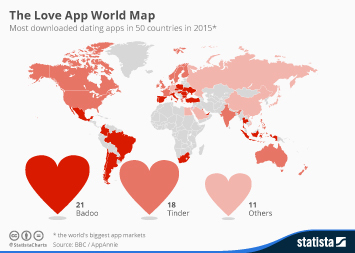 Love it or loathe it, Valentine's Day is an important date for the U.S. economy. 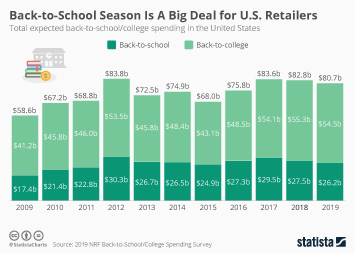 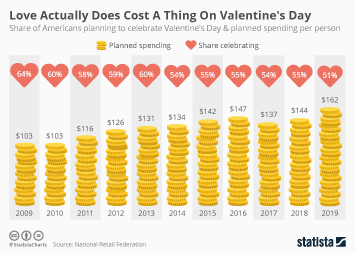 According to the National Retail Federation (NRF), the average American will spend $143.56 on gifts this year, with total planned nationwide spending $19.6 billion. 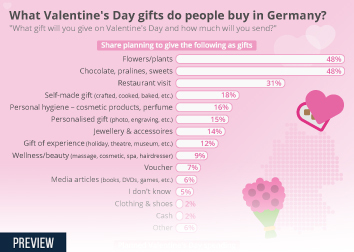 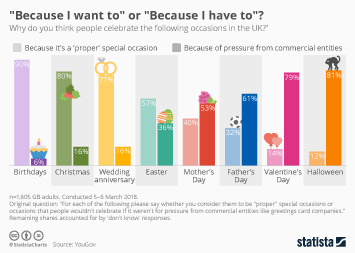 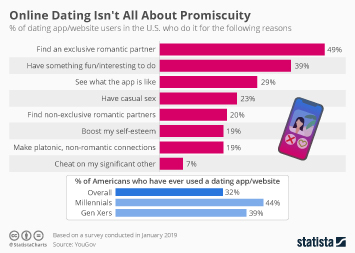 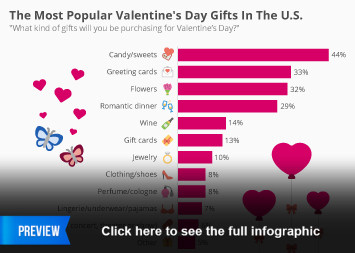 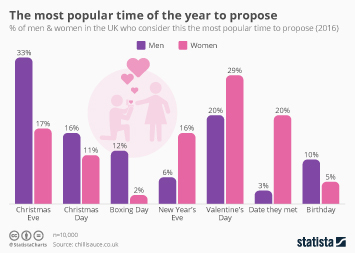 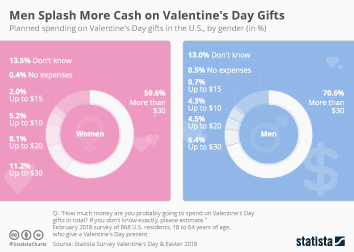 55 percent of people are going to celebrate with jewelry ($4.7 billion), an evening out ($3.7 billion) and flowers ($2.0 billion) the top spending categories. 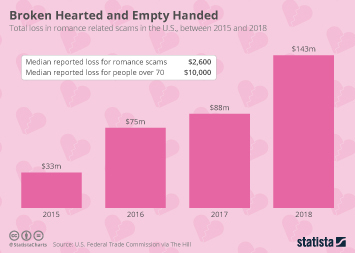 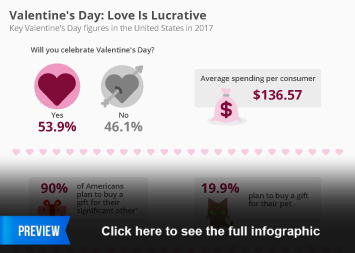 Key consumer spending trends on Valentine's Day in the U.S. in 2018.